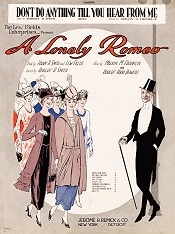 <What Really Influenced Noël Coward’s “Bitter Sweet”: “Die Fledermaus”? If you wish to experience operetta off the beaten track, then look no further than this brand new CD with music from shows such as The Auto Race (1907), A Lonely Romeo (1919), The O’Brian Girl (1921) or Queen High (1926). 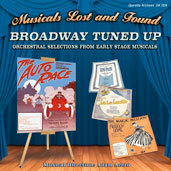 In their series “Musicals Lost & Found” the Operetta Archives in Los Angeles have released a disc with orchestral selections from ten shows for small band: Broadway Tuned Up. A delightful listening experience! The shows in question here are by composers such as Jerome Kern (Nobody Home, 1915), Louis A. Hirsch and Rudolf Friml (The Blue Kitten, 1921). But also by Manuel Klein (Auto Race) and Robert Hood Bowers (Lonely Romeo). These are Broadway titles that mark the slow transition away from a European style operetta à la Merry Widow and Chocolate Soldier to a more uniquely American type of musical theater. The orchestrations of the medleys are partly by famous people such as Robert Russell Bennett who started his successful career as arranger of such pop music selections. Other arrangers are Walter Paul, William C. O’Hare and Charles N. Grant. In the booklet to the CD, Michael Miller – as usual – describes every show in detail and gives us original sheet music covers for additional flair. To wet our appetite even further. I must say that the cover art for The Auto Race is especially mouth watering. 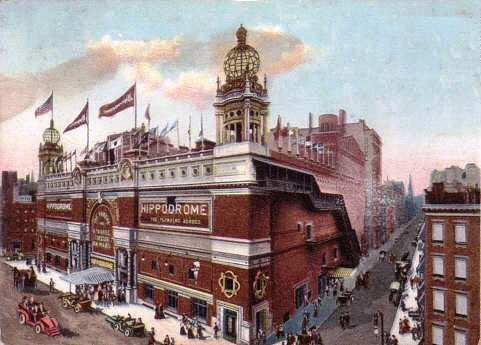 The show premiered on 25 November, 1907 at the 5,300 seat Hippodrome on Sixth Avenue, playing twice daily for six months. 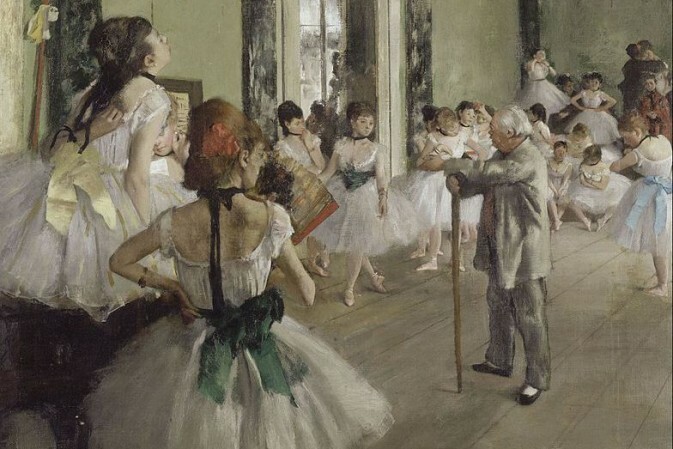 It ran parallel to the Merry Widow and achieved the second longest run for any show of that year – after Franz Lehár’s imported hit from Vienna. It would be thrilling to see it on a modern stage, with all those vintage cars racing away to dazzling music. I sincerely hope that someone will give us a recording of the songs of these gems too, not just the melodies. 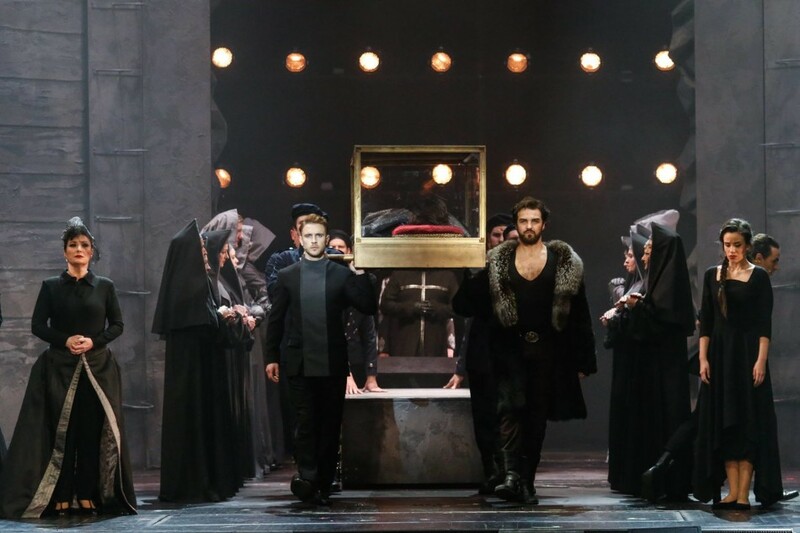 All of the Broadway shows are candidates for the Ohio Light Opera repertoire; as far as I am aware Manuel Klein, the composer, has not been presented there yet. The orchestral selections here are performed by a 12 man band under the direction of Adam Aceto. There is one other musical gem here, that sounds “different”: George Gershwin’s La La Lucille (1919) with songs such as “Tee Oodle Um Bum Bo” among other rarities. A score worth exploring. For more information, and to order the CD, click here.